Donations are needed to help keep the server alive. If you will like to donate go to http://buy.animal-craft.net to see the donor ranks. If you have any questions about donating post on the forums. So yesterday on towny some of you may be wondering what happened. Well let me explain, so yesterday some players came on and somehow figured out a way to bypass our bungee connection and direct join towny. 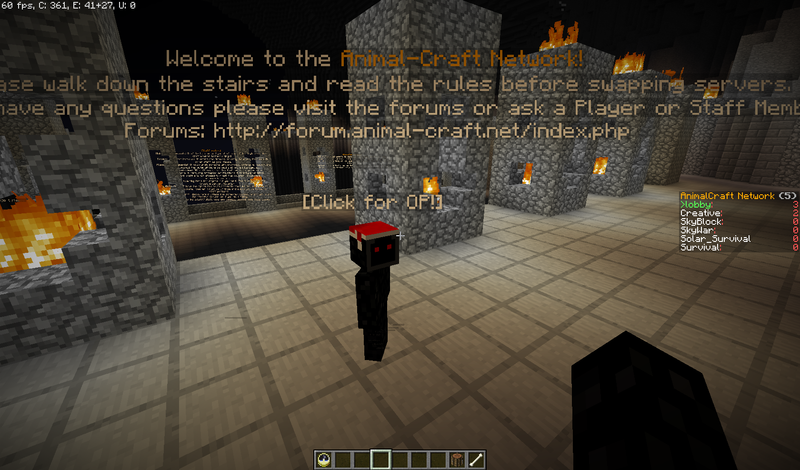 By them doing this they could login the towny server with whatever username they want. 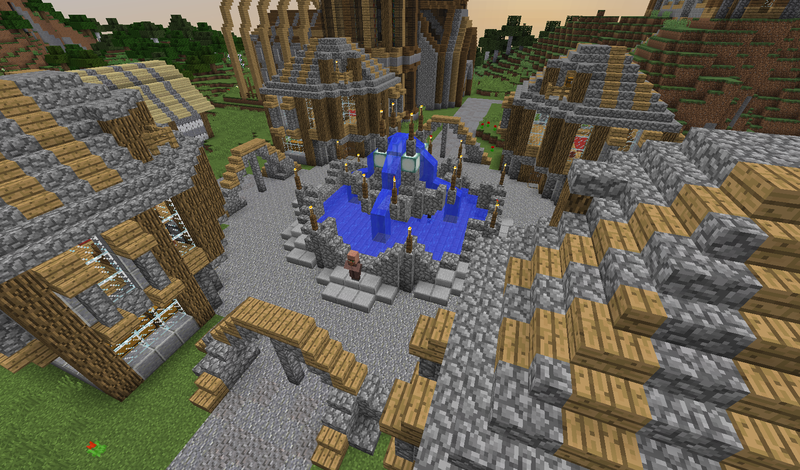 They logged in as me and gave them self admin permissions and destroyed the server. You may be wondering how this happened. Well towny was in a beta stage which means there might be some bugs. They found a bug and used it to attack the server. We have already addressed the issue and resolved it. No damage was done to any of the other servers this only happened with towny and should not happen again. We will be changing the way how taxes work on Towny. Right now no matter what town you have you will always be paying $10 a day for upkeep. We are going to change it to how many plots you own. The main reason is to help stable the economy. To make this make more sense I will explain how the economy works on towny. When a player does a job with /job they get paid for doing things on the server. When they get paid the money comes from the server bank called towny-server. You can see the server bank when you do /money top. To see also how much money your town is and how much the upkeep is do /t <town name>. If you are wondering how you can make your town make money you can tax the people that live in your town. Towny is now open to EVERYONE! We have moved Animal Town out of closed beta and into open. From what I know the only thing left to do ts the shop. There is a global market where players can sell/buy stuff with the command /market. If you do see any bugs with Towny be sure to let us know ASAP! We are now giving people OP for free!! If you have any questions I will be happy to answer them. Ok so most of you who have been on the server for a long time have been questioning if you should get one of the User, Member, and Veteran ranks. We have decided yes we will give those ranks out to those players. However you must alert me (You can by posting in this thread ) or when online let one of the Co-Owners know and they will rank you up. Do keep in mind if the Co-Owners are unsure on how long you have been playing they will need to ask me so I can check and confirm it! Just post below how long you have been on the server and I will look into the old logs and see if your username shows up. DON'T POST FALSE TIMES OR YOU MAY GET BANNED!!!! Ok so I will try to keep this post simple! Steel: Join the Server when Full, Talk With Color Text, Can use /co inspect, Set 2 Homes, Gets 2 Player vaults, Gets access to private servers, Claim 6 Plots, Lobby Pets (Wolf, Ocelot, Sheep), do /fly in the hub, and in Creative and Towny you can force TP with /tp. Updates and More cool features! Ok everyone so tonight we will be doing some major work to the server. We are calling this major update Animal Craft 2.0. Let me tell you some of the changed we will be doing!